Home » CDN , Google , telco » Dijkstra algorithm: How to implement it with Python (solved with all explanations) ? Dijkstra algorithm: How to implement it with Python (solved with all explanations) ? In this post, I will show you how to implement Dijkstra's algorithm for shortest path calculations in a graph with Python. NB: If you need to revise how Dijstra's work, have a look to the post where I detail Dijkstra's algorithm operations step by step on the whiteboard, for the example below. First, let's choose the right data structures. The implementation can be a nightmare if you pick a bad data structure for describing the graphs. In python, the dict structure is particularly handy, so let's use it. - which nodes are not visited yet: we can use a list for that. - a predecessor and a cost for every node. Let's use dict type for these elements, it will ease our life when we look up their value for a given node. It will return the shortest path from src to dest, but could as well return a shortest path tree. You will need to know the two following python functions to implement Dijkstra smartly. this function of a dict element (here 'mydict') searches for the value of the dict for the keyvalue 'mykeyvalue'. If this key does not exist in the dict, the function does not raise an error. Instead, it returns the value provided as the second argument, here 17. The min function can be applied on dictionaries! You just have to specify the key function as in the above example. One last thing before jumping to the code: if your graph bears negative weights, Dijkstra's algorithm will run into trouble - you should rather use Floyd or Bellman-Ford algorithm, which are able to detect negative cycles in graphs. Remember that Dijsktra's algorithm is for graphs with positive weights only. Well done and congratulations for reading this post to the end! Now, if you are working on Dijsktra's algorithm, I think you are preparing for an interview at Google, Microsoft, or Amazon. Am I right? 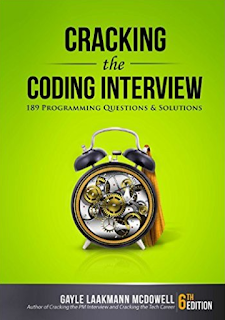 Then, the best tip I can give you is to look at two books "Cracking the PM Interview: How to Land a Product Manager Job in Technology" and "Cracking the Coding Interview: 150 Programming Questions and Solutions". 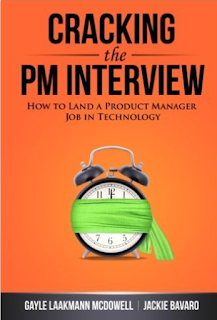 They were written by Gayle Laakmann McDowell, a former recruiter from Google who also worked at Apple and I find them really great! I hope this post has helped you. If you like it, please share it on social media and you will make my day! Thanks! PS: I love your comments and I must apologize for not being able to answer them all. I have a demanding job and family. Thank you for your understanding! How do I create a nested dictionary like your graph? your question is incomplete, sorry! What's your data structure in input? A string, an array, ... This point conditions the conversion method to the nested dictionary format I propose. Anyway it should be pretty easy: a loop to go through your input and fill in the nested dictionary appropriately. what if there won't be any path between s and t ? Good question :) In such case, the path has an infinite cost. I have to make a comment though: the end condition is not ok. Now it ends when it reaches the destination and if there is a shorter path it won't find it. I came around such a case. The proper end is when there are no more unvisited nodes. Then all the posibile distances are computed. Actually, your wrong. Dijkstras algorithm builds upon the paths it already has and in such a way that it extends the shortest path it has. Hence, upon reaching your destination you have found the shortest path possible. This is the strength of Dijkstra's algorithm, it does not need to evaluate all nodes to find the shortest path from a to b. Of course, this only works if the distances between nodes are only positive. Can you suggest why this error occurs? It does not occur in the previous use of ('inf'). I tried changing print to return, but it gave me none, is there way to return the values instead? Just having a look at this now, hopefully you sorted this. For those people who haven't you'll need to return the value in both the if src==dest & else clauses as otherwise your output will get lost somewhere in the stack. What is the time complexity for this implementation? How about plain old debugging? Start by printing the value of the variables triggering hte issue? I'll pile on to the above. I've tested with multiple graphs and it has both given error above and given incorrect answers. Don't think this code is perfectly implemented. This was fantastic! Worked like a charm for one of the Project Euler problems (I was stuck on it for a while). Thanks for taking the time to share it -- you made my day. results to an "syntax error". So Old, But So Popular! Wireshark packer sniffer: How to capture iPhone iOS packets? I am a Takeda employee. My opinions are personal and do not imply any endorsement by my current or past employers.